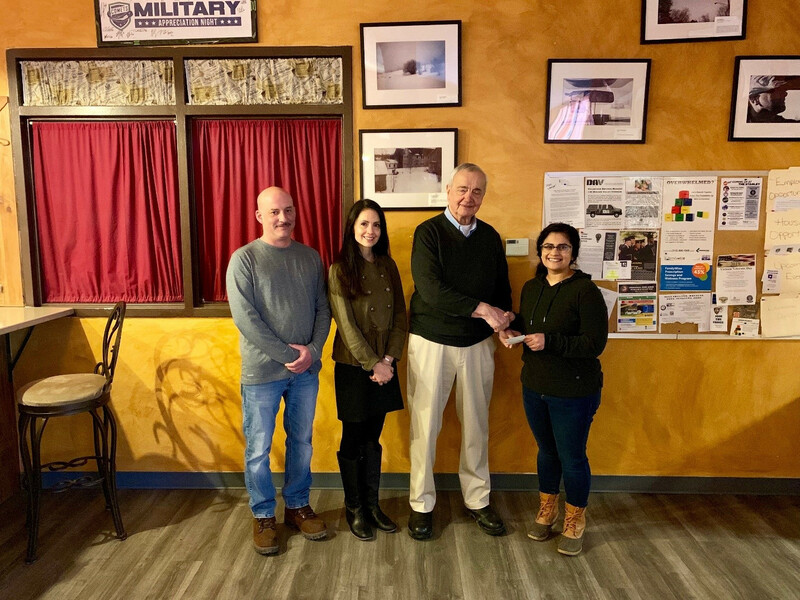 The Central New York Veterans Outreach Center received a donation of $2,255 from Sam and Jennien Colozzi of Colozzi's Gifts on March 22, 2019. The store ran a promotion that for every $15 spent with a special coupon, they would donate 15% of the total purchase to the CNYVOC during the holiday season. Over 475 customers participated in this effort. This is the fourth year the store has run this promotion for the CNYVOC, and they have donated over $8,000 to support the centers Veteran services. Mr. Collozi, a Veteran himself feels it is important to give back to the community and has been an avid supporter of the CNYVOC. Each year the CNYVOC continues to advance its mission of enriching all Veteran's quality of life by providing comprehensive support services to all Veterans and their families. All donations received are used for services that include but are not limited to, our food pantry, donation room, holiday baskets, transportation and general funds assistance.